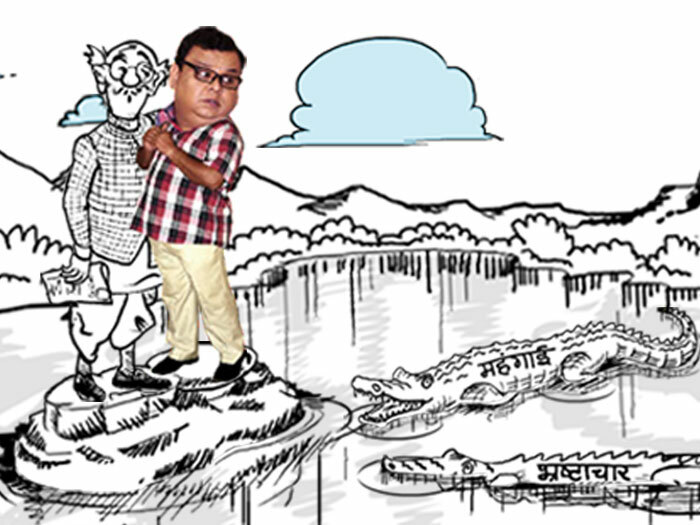 This series is based upon the works of the famous Indian cartoonist and satirist R.K. Laxman, and his amusing and poignant tales about the exploits of the “Common Man”. Laxman’s Common Man is a silent spectator who observes with great grace and dignity the many complexities and pitfalls of our fast moving times. He confronts India's latest scandal with wry resignation. Meek and hushed, he is a voiceless witness to everything - from scheming politicians to gossiping housewives and rapacious bureaucrats. RK Laxman Ki Duniya depicts the joys and sorrows of ordinary people, but most of all it portrays our frustrations as well as indifference towards things going on around us.